Every year there are tons of delicious food options varying from barbeque to Greek to Italian and beyond! Funnel cakes, soft pretzels, and Italian ice will be available too, with so much more to choose from. The Cooking Channel&apos;s Carnival Eats made a video just focusing on the food that Lemonade Days has to offer. Is your mouth watering yet? 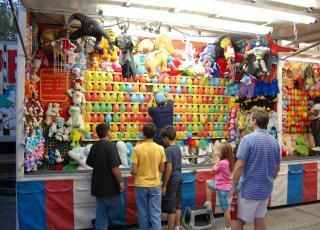 Then there are the 30+ carnival rides complete with games, face painting, a dunk tank and a petting zoo! If that isn&apos;t enough, there&apos;s also a a 5K Run, three days of center stage performances and the popular Dunwoody Idol contest. Admission to the festival is free but tickets for individual rides and unlimited ride passes will be available for purchase. Individual rides are only $1 while unlimited passes range from $20 to $25. Click here for a $5 off unlimited rides coupon! One of the best things about Lemonade Days is that it truly offers something for all ages. 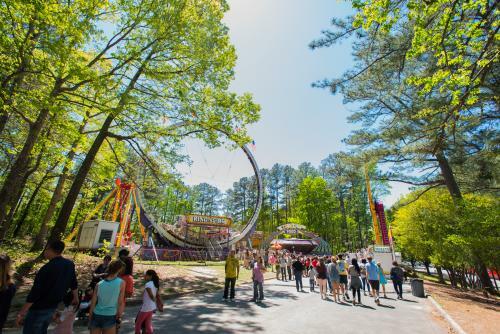 If games and rides aren’t your forte, there are plenty of attractions for adults to enjoy such as the Dunwoody Driving Club antique car show, the wine and craft beer garden, and live music. 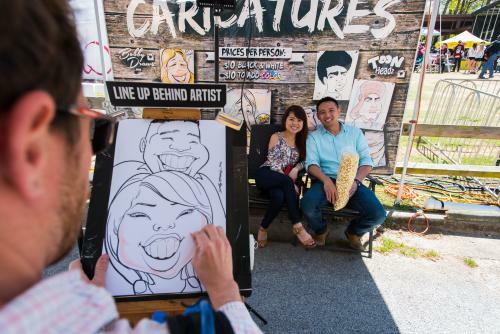 Two additional can&apos;t-miss features at Lemonade Days are the Made in Dunwoody Country Store and Dunwoody Idol. The Made in Dunwoody Country Store will sell novelty items including jewelry, soaps, arts and crafts, stationary, clothing, and pre-packaged foods. As advertised, everything sold will be locally produced. The Country Store will be open Saturday, April 27, from 10am to 6pm and Sunday, April 28, from 12noon to 6pm. The popular Dunwoody Idol singing competition will take place at 7 p.m. on Saturday night. Ten finalists will compete to see who will be crowned the 2019 winner! As you can see, Lemonade Days is jam-packed with fun activities, more food options that you can daydream about, and loads of entertainment. You will walk away counting down the days until next year’s event. Be sure to take pictures and tag them with #LDays19 for a special shout-out! Click here for the Lemonade Days events schedule, ticket information, and more. Founded in 1995, the Dunwoody Preservation Trust is a 501 [c]3 organization dedicated to preserving both the history and heritage of Dunwoody. While the community is stronger than ever since the Dunwoody Tornado of 1998, there is still a need for Lemonade Days. Proceeds from this event, and its fall counterpart, Apple Cider Days, go towards the preservation of historic properties such as the Donaldson-Bannister Farm (built in the 1870s), the Cheek-Spruill Farmhouse (1906), and five cemeteries.